Hi 🙂 Thanks for reading! This week has been crazy, busy.. 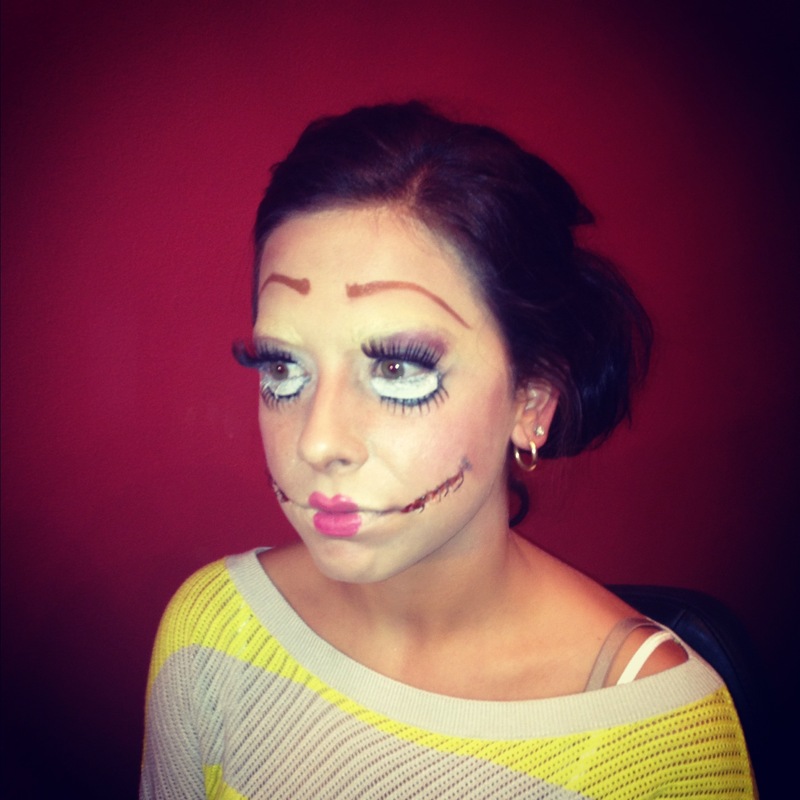 I had bridal trials this week, brides yesterday, halloween makeup applications booked, and more brides today & Sunday! Like I said in my last post, Fall is one of my favorite seasons. It is also my busiest season. I find that my skin becomes more dry during these cooler months, so I find myself spending a little bit more time taking care of my skin in the morning and night than I would in the summer or spring. I recently been experimenting with new product lines. 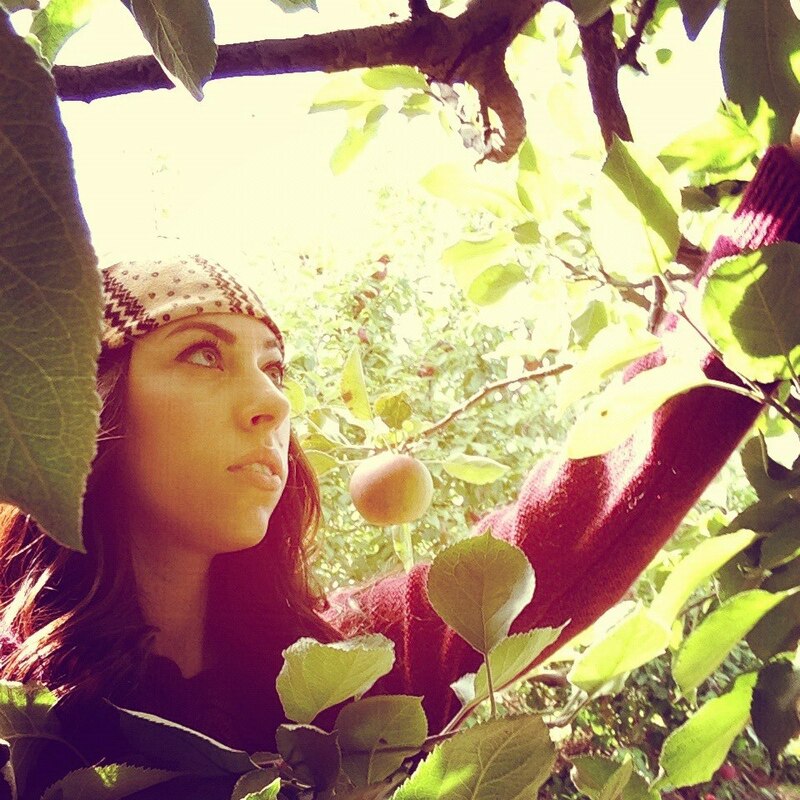 As far as skin care lines, I really love organic and natural products. I know what exactly I’m putting on my skin, and I know it’s not harmful. 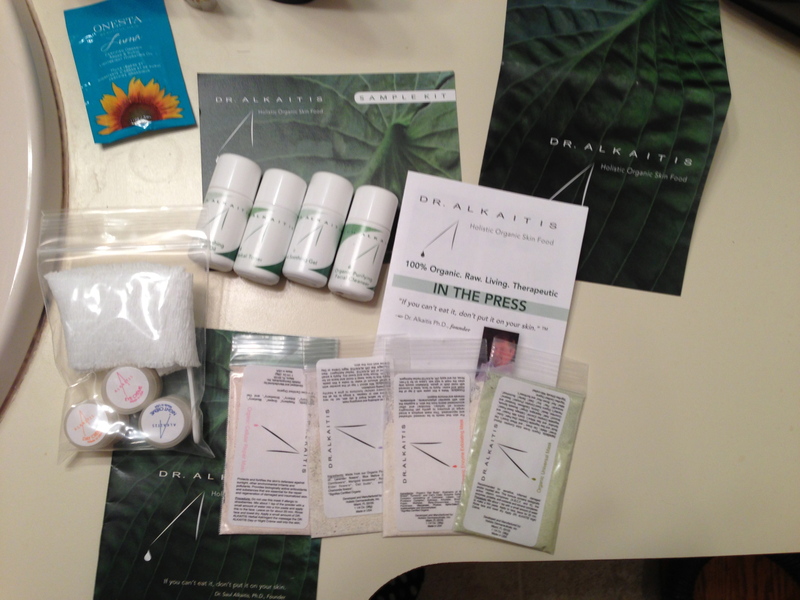 I have been using Dr. Alkaitis Organic & Holistic line. It truly works wonders! I talked to them about my job and my blog, & they were willing to send me samples for my guests to try at my blog launch and I’ve been getting great responses. 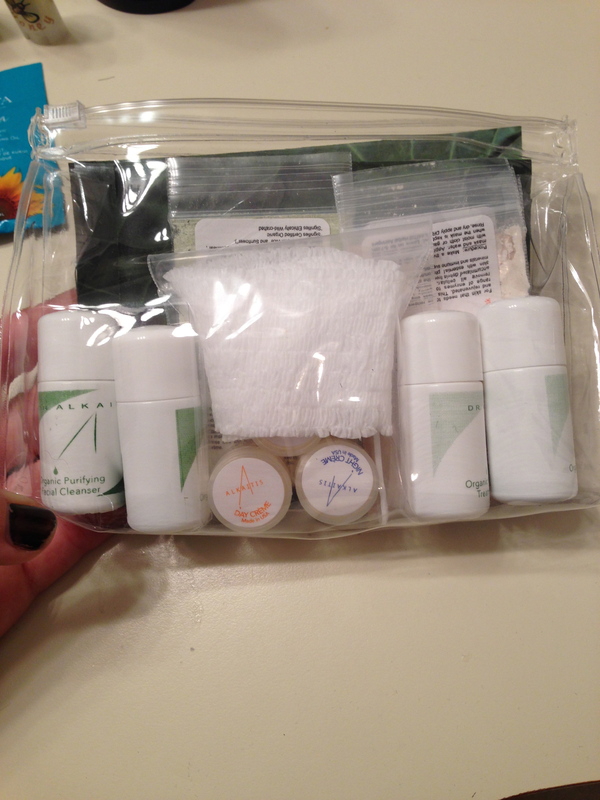 *There is also a sample cleanser in my goodie bag for my October giveaway! 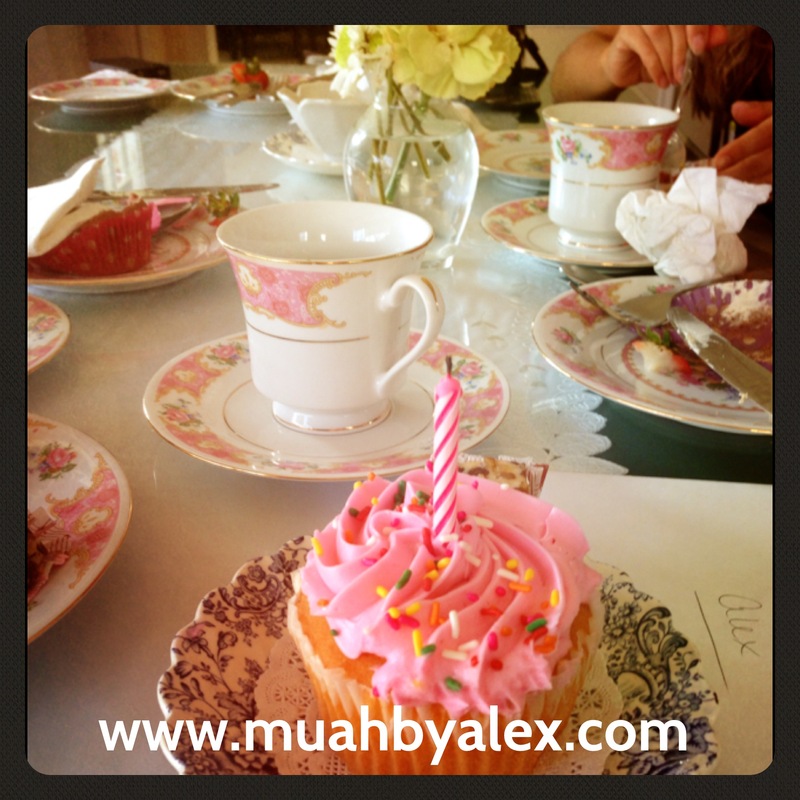 “If you can’t eat it, don’t put it on your face” is what Dr. Alkaitis promotes, and I agree!. Health IS the essential foundation of beauty! You can purchase a sample pack online at alkaitis.com and the samples last about 3 weeks. It is very light, containing coconut, jojoba, shea, sesame oil, and other raw, natural ingredients that work wonders on your skin. 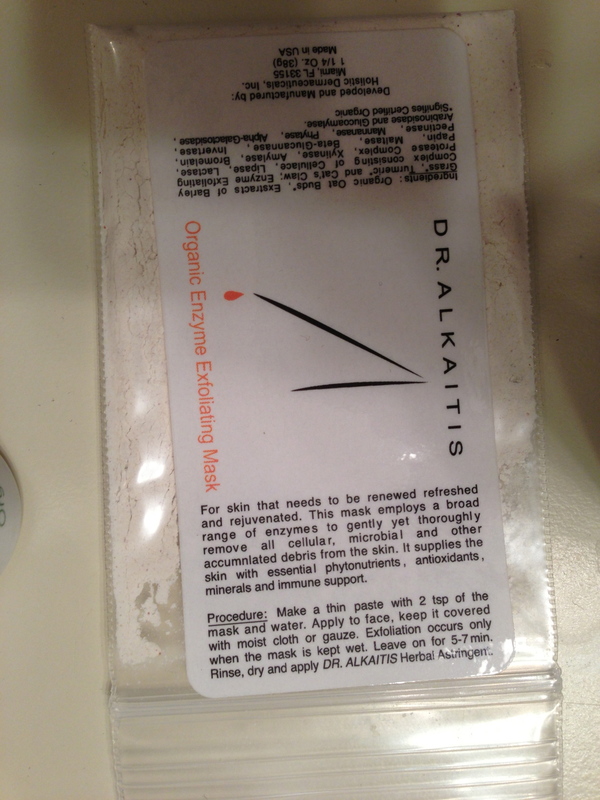 I used the organic enzyme exfoliating mask and I saw a difference in my skin immediately. I liked how you had to mix the mask your self, taking 2 tsp of the mask mixing it with equal portions of water. It brightened my complexion and helped even out my skin tone. 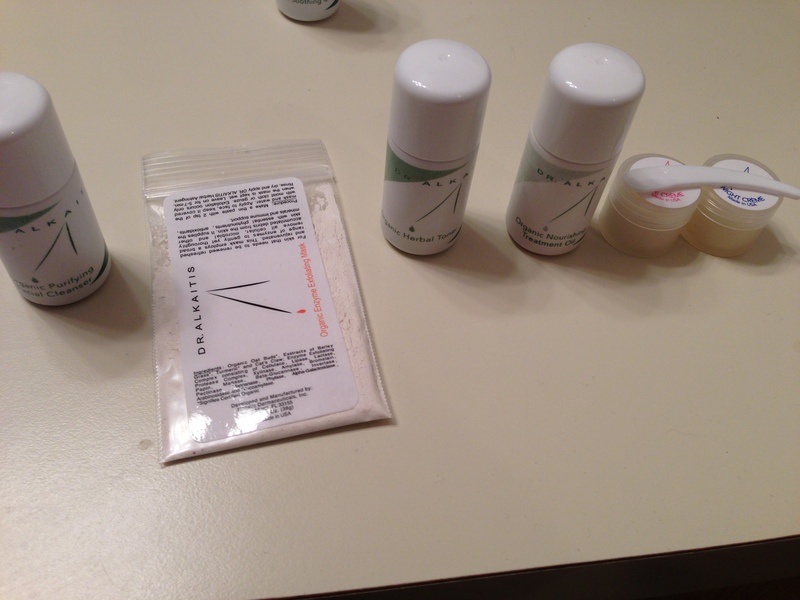 I’ve been using these products every day starting with the cleanser, following with toner, moisturizer and eye cream. At night I’ll add their oil to my moisturizer, so when I wake up my face feels fresh and soft. I should also add that I grew up having psoriasis. Which is when you get very, dry patches all over your skin. Since I’ve been using natural products, my skin really has improved almost 100%. (also eating clean and drinking lots of water!) So if you suffer from this, I can relate! And definitely recommend trying out this line! 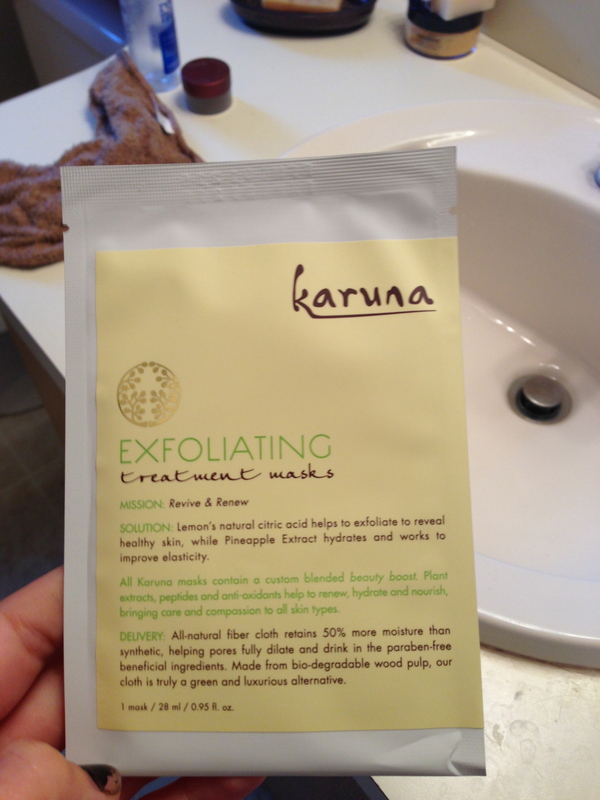 I also tried out an exfoliating mask from Karuna. OMG! I will continue to use this mask once a week. 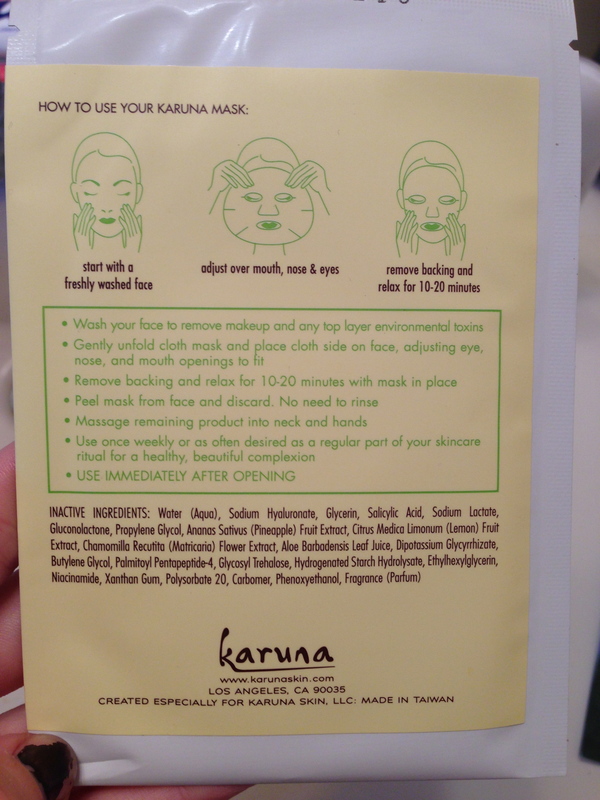 Karuna masks comes in a packet, it’s a all-natural fiber cloth which helps retain moisture. Your supposed to leave the mask on for 10-20 minutes, but I left my mask on for a solid 30 minutes. Once you remove the mask, their is no need to rinse off your face. Karuna is a line of “convenience”, one-step, no rise product. It felt a bit slimy afterwards but I just massaged all the residue into my skin and onto my neck. 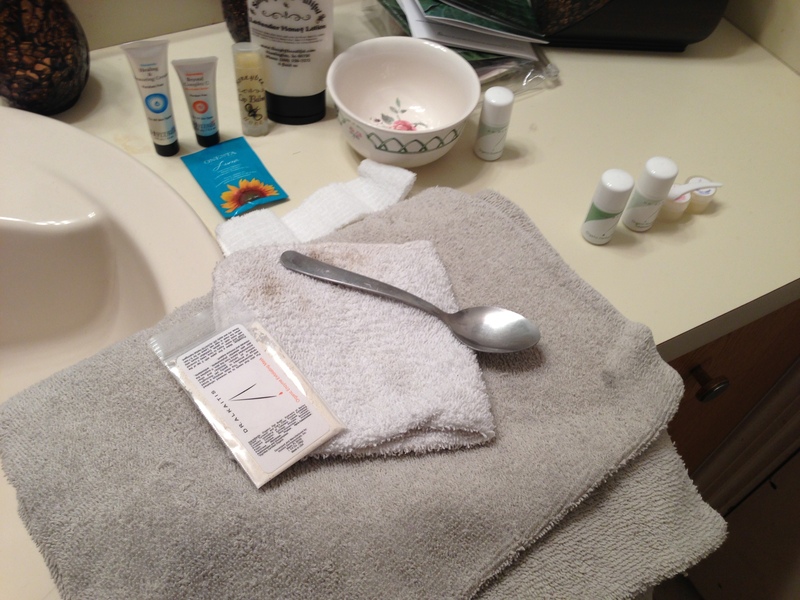 Immediately my skin felt fresh, clean, smooth, brighter, and plump! All my friends sent me photos of themselves wearing the mask, and I took some myself, but it’s a bit scary, and alien-ish so I’ll hold back on posting those. LOL I also would recommend these for your weekly mask. You can also receive one in my October giveaway goodie bag! 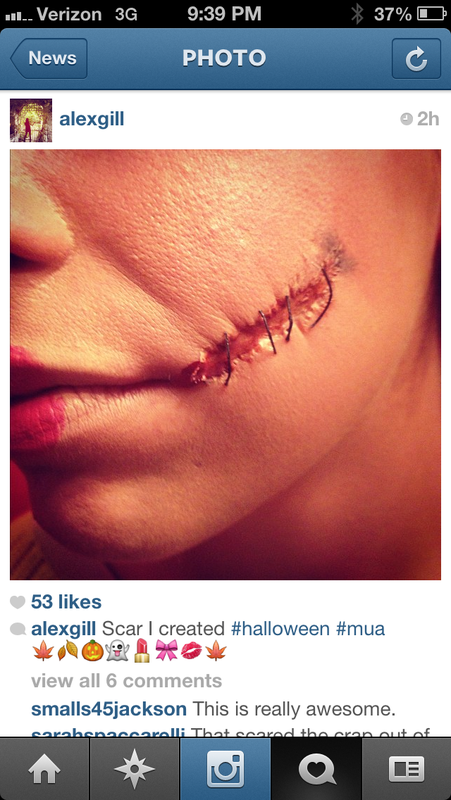 Another EASY, fun way to spice up your Halloween look is to mask your own mask! 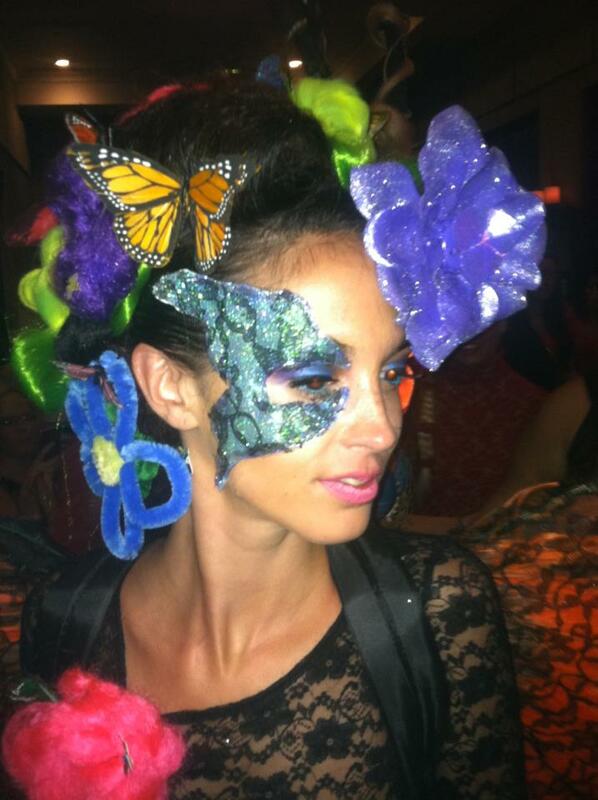 I participated in a hair show last month, and I had to do the makeup for a butterfly. I really was stumped and didn’t want to be corny and paint on a butterfly, so I tried to get really creative. 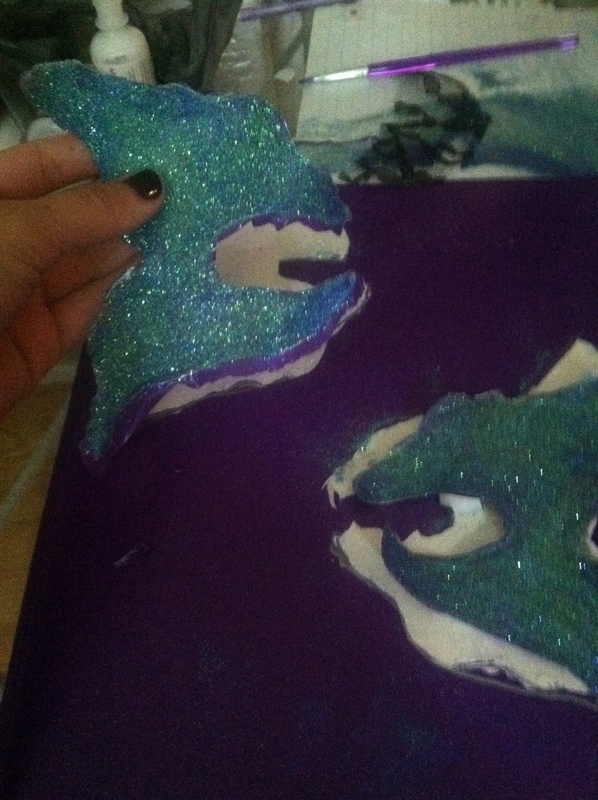 I took some puffy paint (found at walmart or any craft store, for like $1 a piece) and started to paint on a laminated folder 2 wings. I free handed “a face” on the folder, so I knew exactly where the eyes were and started to paint. I made a thick layer, threw on some sparkles, even using some of my MAC pigment colors. It took a couple hours for it to completely dry. I peeled it off and wahhh lahh! 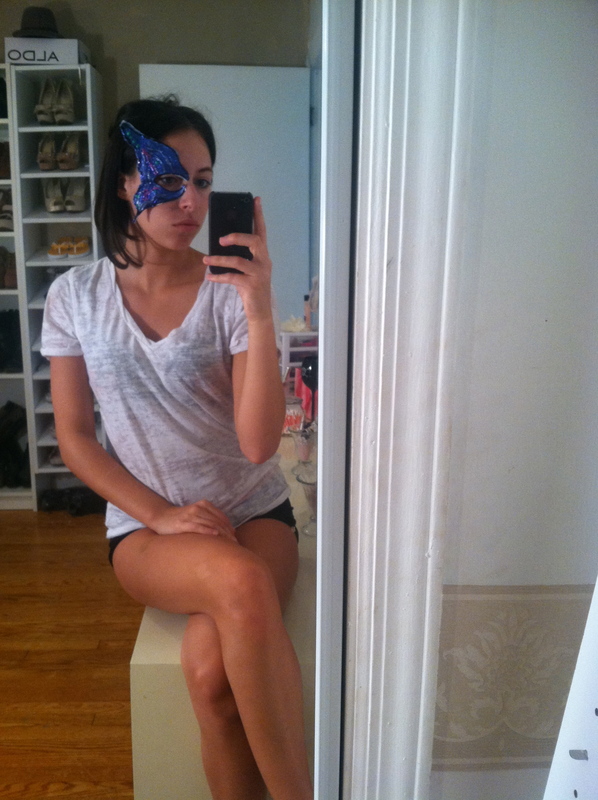 I had my butterfly “mask”. It was so simple to apply. I tested one out on myself first. I just took eyelash glue and applied to the back of the mask, letting it become tacky before putting it on my face. Once I tried it on myself, I sent it to Aly (the hair creator of the butterfly) and she loved it! She said she was incorporating lace so I made another mask, this time applying lace. 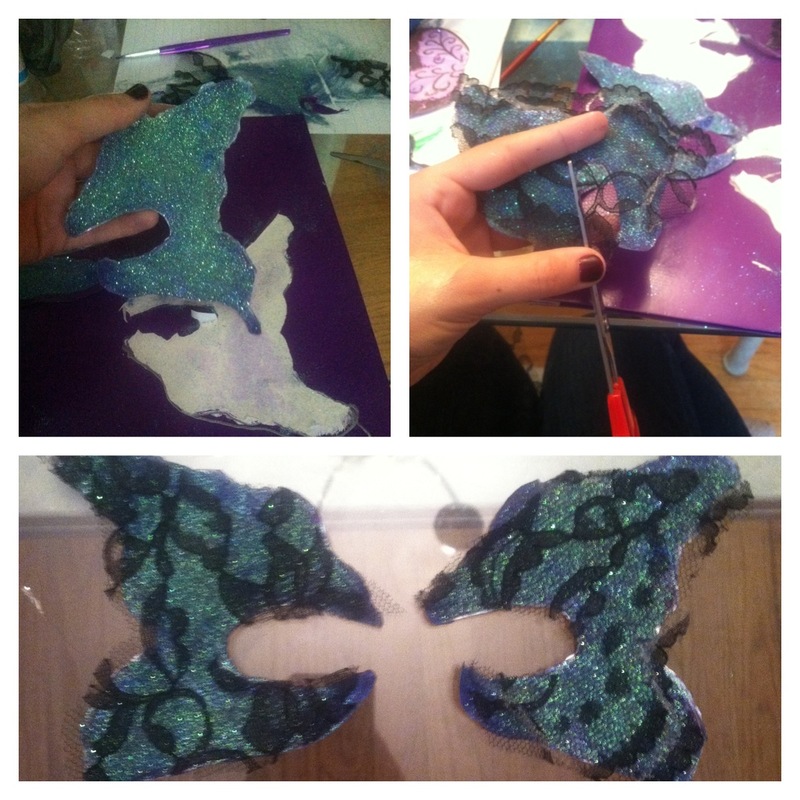 I cut out the lace to fit the mask and once this mask had dried, I put the lace on using fabric glue. Check it out! This is fun, esp. for kids! You have to love fall and Halloween time because of the exciting costume ideas, the colors of the season and the beginning of the holiday season. One of my favorite fruits of the year is the pumpkin. 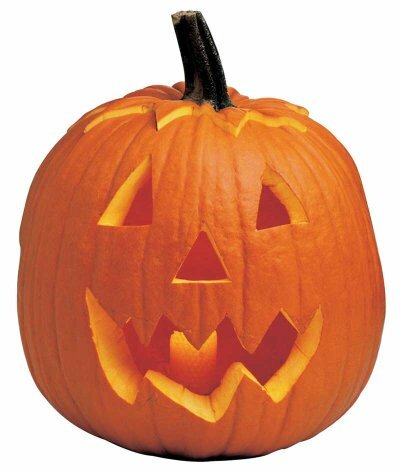 It’s the perfect fall symbol, an amazing color of orange, it’s tasty—and it’s fun to carve. Pumpkin tea, pumpkin muffins, pumpkin EVERYTHING! Fall is one of the BEST times to make your own at home skin care treatments because of the tasty delights and seasonal goodies that come around. What’s better is that natural skin care is always a great choice for you.. Have fun with it! After you and your girlfriends, finish carving your pumpkins, use those guts for a good cause 😉 Pumpkin facials! Spread paste onto your face and keep on for 10-15 minutes. *Be sure to make your mask thick enough that it’s not dripping off your face. Both of these at home skin care recipes using natural pumpkin will leave your skin smooth and glowing. 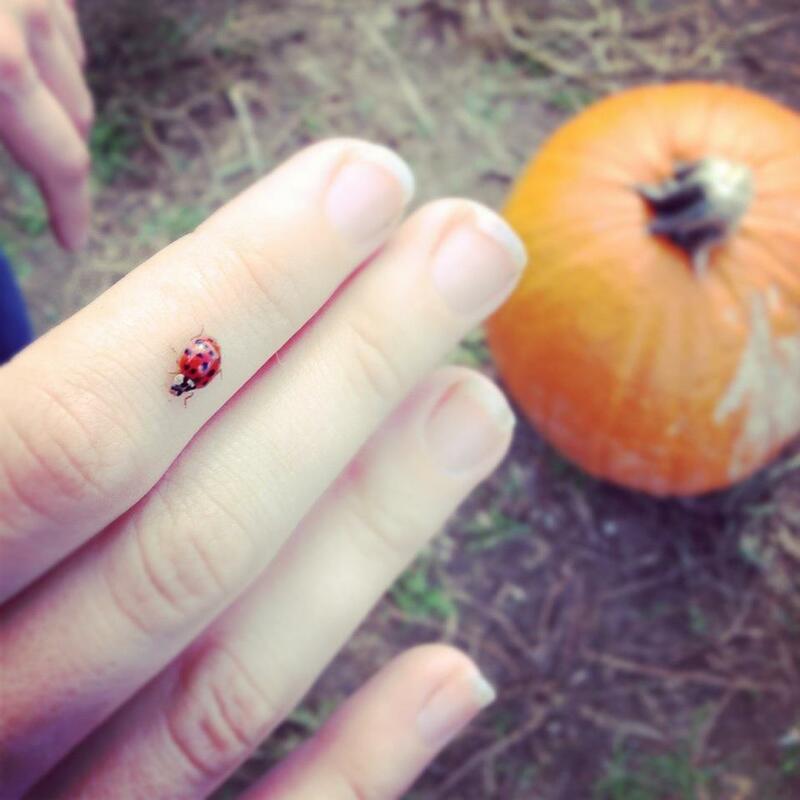 It’s a festive way to help get the most out of the seasons with the nature around you. Okay! Off to a wedding. 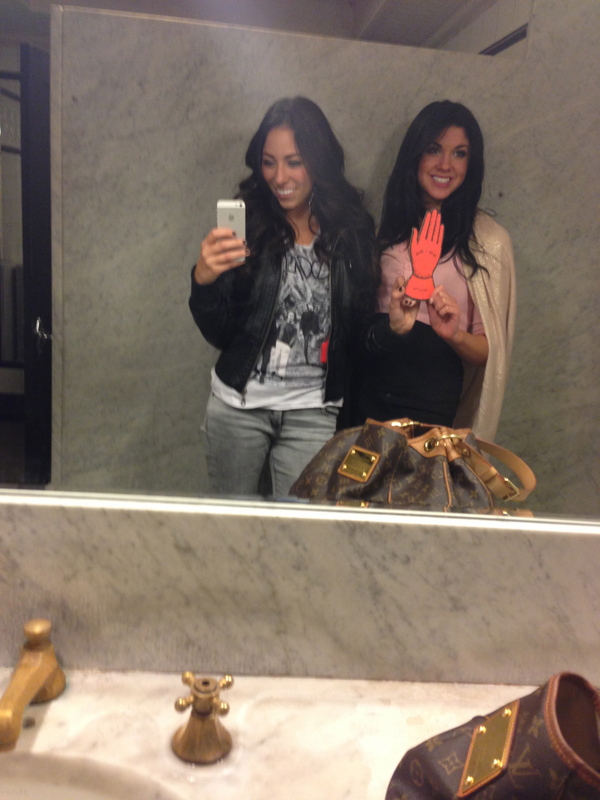 Time to get the bride beautified! LOVE MY JOB!!! Thank you for reading. 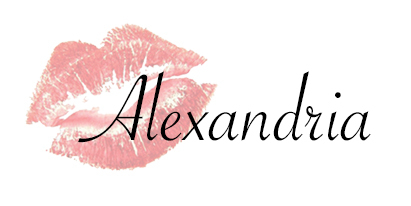 Previous Previous post: Cure to Chapped Lips!